It’s been a while (crocodile) since I have had a blog series up on here – so here is a new one! I have seen so many of my fave Youtubers do the same thing. Always along the lines of ‘Favourite products from brand xyz’ or ‘My ride or die products from xyz’. And then to do the same thing every so often, featuring a different brand each time. I have a few brands that I am so excited about featuring, and then some brands not so much. I think the beauty in this is that it just goes to show the quality of a brand overall when you have to literally sit down and pick out your favourites. If you struggle, you know a brand has your heart! For the beginning I will focus on make-up (skincare will come later) and I will definitely include both affordable and high-end make-up. So definitely stay tuned for more! This is probably my second most used essence product of all time. I mean, the fact that I had three on hand when I took these blog photos is convincing enough. 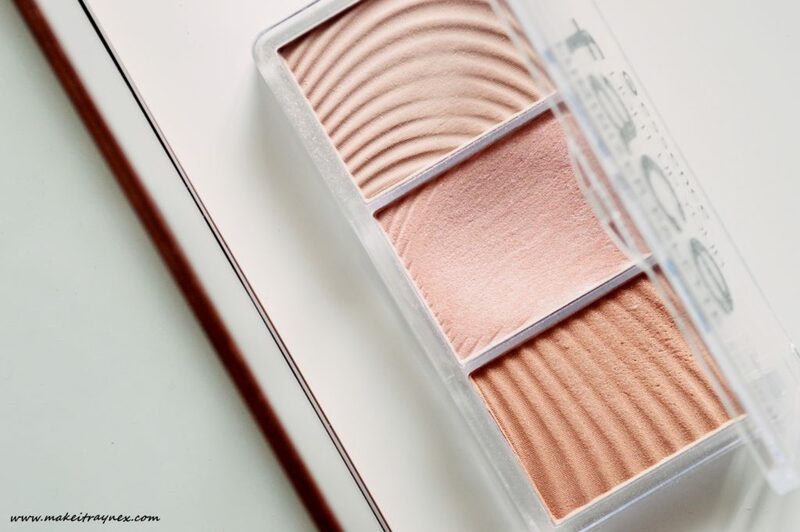 Such a great choice of shades and effects in one small palette. You can see I have almost hit pan on the middle shade, but all three are great highlight options. They are definitely for a more muted, toned down highlight look though. This works perfectly for me because I am fair and, because it is Winter, we all need slightly toned down highlights. The texture is fine and packs a punch. You wouldn’t be wrong to expect chunky glitter bombed payoff from an affordable highlight palette but thankfully this is a sure winner in my book. And best of all, the price tag is R89,95 which is like R30 per shade. I have raved about these time and time again. Literally. I hate to be lazy (who am I kidding) but you can hop on over and read my full review on them over here. That post was written at the beginning of May 2016 which means it was published a year and two months ago. And my opinion has not changed in the least! You can pick these up for R38.95 each. These suckers are sooo great. They are exactly what you look for in a super blendy eyeshadow brush. They are soft, the bristles are long and supple and they blend out beautifully. What more would you want? 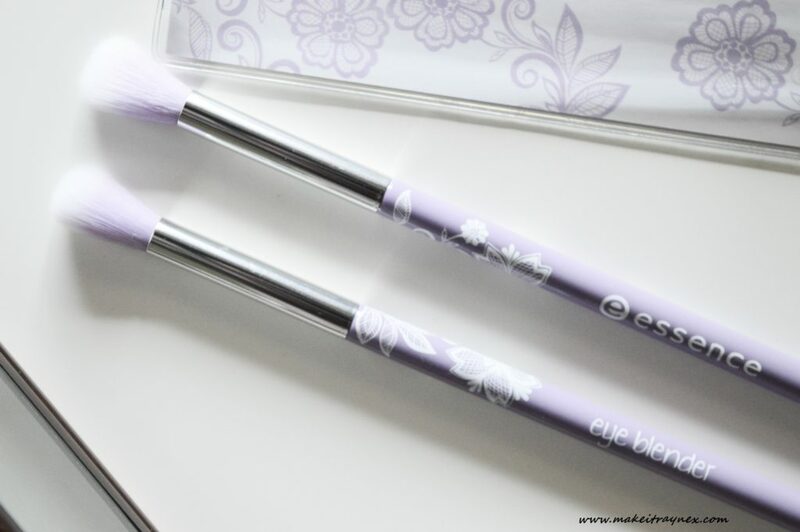 I would also just like to say that it is here where I would pop in the purple and black blusher brush BUT I cannot for the life of me find it o take a picture of. These go for around R33 each in Clicks and Dis-Chem stores. 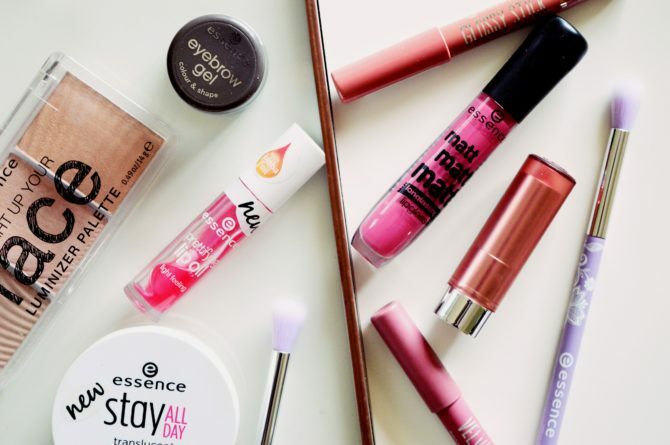 essence lip products are always a hit and miss. And these three ranges are MAJOR hits. 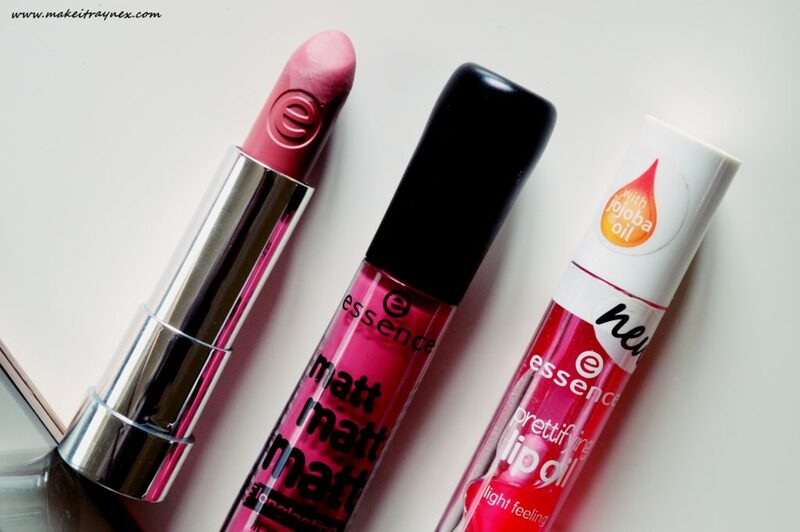 The matt matt matt lipsticks, the matt matt matt lipgloss and the prettifying lip oil. Using the matt matt matt lipsticks, you’d think you were using a luxe high end lippy. 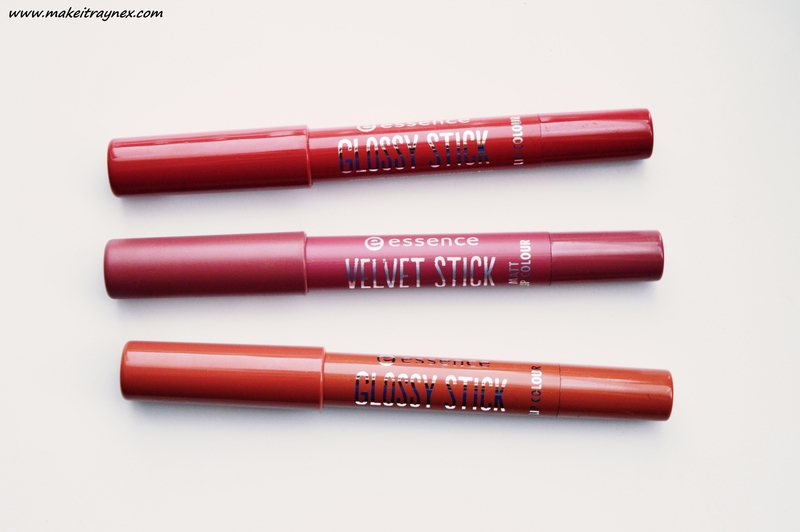 They are creamy, opaque and long lasting. Literally the three main factors you look for in a lipstick. I absolutely adore these, they are just phenomenal! R49,95 each and there are seven shades available. Exactly like the above, the matt matt matt lipgloss is a creamy almost-whipped like texture with brilliantly opaque pigment and long lasting effect. R49,95 with five shades on offer. And the third product is one I really had no interest in the first time I saw it. This reminded me of these cheapie little lipglosses we would use as a kid. However, after one use I was hooked. These are SO perfect for Winter as they are light and nourishing and just feel so hydrating on your lips. There are three shades available and I have two, pink and yellow. There is also a red available but there is no real colour payoff on your lips. I find this to be a huge positive, no one wants a sleek slick of gloss in those shades. But as a nourishing oil they are FABULOUS. R44,95 with three colours available. And ending the post off on a high note. Okay, the entire point of the post is to focus on the great products but this is REALLY a great product. 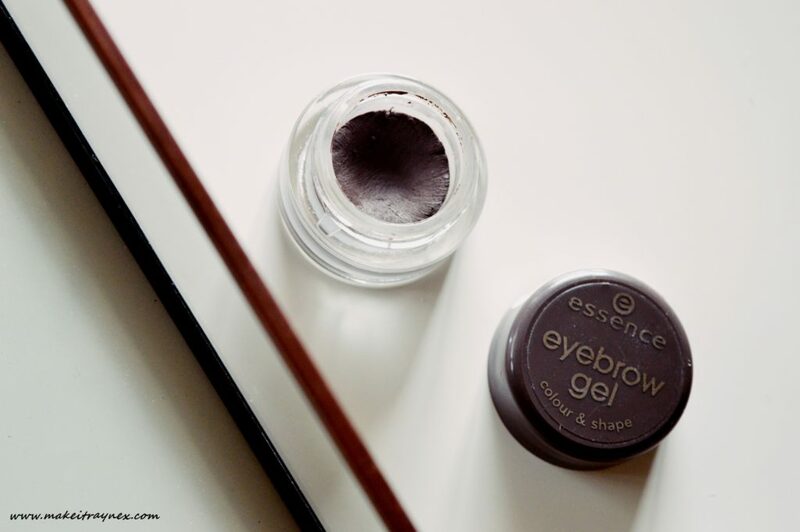 It is, without a doubt, my favourite brow product and it has been for about a year. Now that should tell you something. This cream-gel product comes in a glass jar and lasts you forever. I have yet to repurchase this and, as I said above, I have been using it for a year. It is only available in one shade but I would think this shade should suit most – but not all – skin tones. It is close to being universal, but it will work best with darker ladies. I am super pale but darker skin or darker hair and eyes will suit best. I find it works best with the Real Techniques small angled brush and, laaaaawd, it applies beautifully. As long as you use the correct applicator, you will achieve the most intricate fine hair-like strokes and from there you can achieve any brow look that you please. The price tag is R64,95 but no jokes, I would pay four times that for this product. I have seen this compared online many times to the ABH Pomade but I have not used it before so I cannot compare. My Essence highlighter palette looks EXACTLY the same! Haven’t used the outer two shades much, not even sure what they’re for (LOL). Also, I freaken love the purple blending brush. It’s small enough for my eyes. I’m going to get the translucent powder some time soon. It sounds really good! 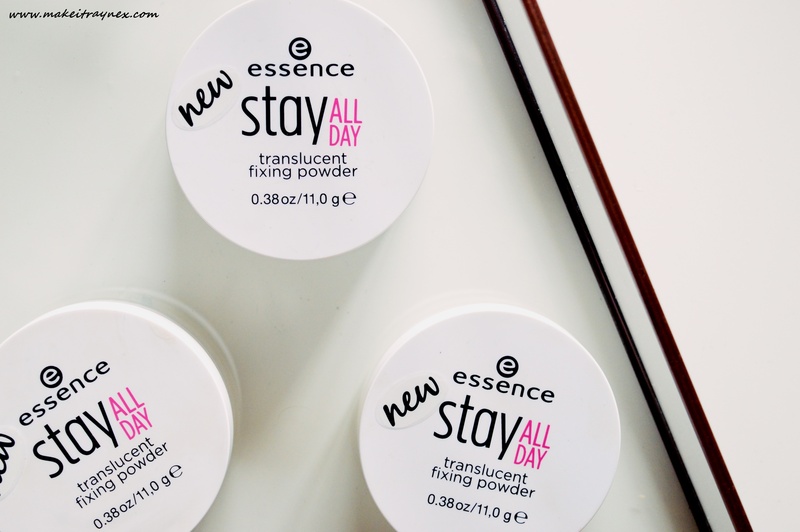 DEFIINITELY get your hands on the setting powder next time you need a new powder. I can not recommend it enough!